The study on “Improving Transnational Transport Corridors in the OIC Member Countries: Concept and Cases” was undertaken by Fimotions, commissioned by the COMCEC (Committee for Economic and Commercial Cooperation) Coordination Office. As one of the four Standing Committees of the Organization of Islamic Cooperation (OIC), COMCEC serves as a central forum for addressing development problems shared by Islamic countries and provides solutions to them. OIC has 57 Member States in the Arab, Asian, and African regions. The objectives of the study are (1) to identify the basic concepts of transport corridors, its role in enhancing trade and its success factors, (2) to investigate the successful transport corridors outside the OIC geography in order to provide benchmarks, (3) to explore the situation of transport corridors within the OIC region, and (4) to propose recommendations for enhancing effective and efficient transport corridors among OIC member states. The ultimate aim of the study is to raise awareness of transnational transport corridors among the OIC Member Countries as well as to trigger a serious debate around the issues identified and how to address them. Seven framework areas are used as a basis for the entire study. These are (1) political and institutional factors, (2) economic factors, (3) trade facilitation, (4) social factors, (5) safety, security and legal liability, (6) technical and operational factors, and (7) environmental and energy factors. An in-depth investigation of the different aspects of each area was given for transport corridors outside and within the OIC geography. Three corridors were visited during the study. 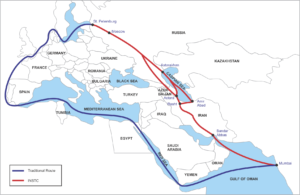 These are TRACECA (Transport Corridor Europe – Caucasus – Asia) for Asia, TAH1 (Trans-African Highway 1) for Africa, and INSTC (International North-South Transport Corridor) that connects Russia – Azerbaijan – Iran – India, for the Arab region. One of the main findings of the study is a low degree of intra trade in the OIC corridors, which is on average less than 10%. This means that the corridor countries trade more with the rest of the world than among themselves. As a comparison, the intra trade figure of the EU is 50-60%. 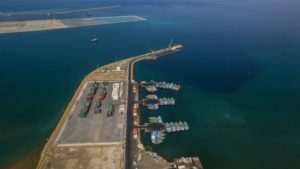 The OIC transport corridors have not yet met a major objective of multinational transport corridors, which is to stimulate and facilitate trade between countries along the corridor rather than seeing it as a means to access trading partners on other continents. The study concludes that political and institutional factors are most important when it comes to OIC transport corridors. It is clear that transport corridors demand a high level of a political cooperation to be successful and, as such, can be a driver to improve political relationships between different territories along their routes. The next crucial step is to establish a permanent corridor secretariat. It is evident from the study that transport corridors with a proper secretariat perform better than those without one. A secretariat provides an identity and “a voice” that represents international commitments to facilitate trade, which is typically a pre-condition for international funding. A transport corridor has, of course, more than just political and institutional aspects. You can read about other aspects, along with extensive analyses, in the study’s final report by following this link. Fimotions presented this study during the 10th Meeting of the COMCEC Transport and Communications Working Group in Ankara on October 18th-19th 2017. If you are interested in our presentations or other presentations given at this meeting, please visit the website of COMCEC. Should you have questions regarding this project or you want to discuss other project possibilities, please contact us. Subscribe and receive a must-read 10-page ebook about “Urban Transport Trends in World’s Megacities”. Don’t miss the latest news on how the world is keeping up with the transition to a sustainable mobility system. Through our newsletter, we will share news updates, our projects and perspective on this issue around the globe.